After BendGate, we’re pretty sure you’ll want to be protecting your iPhone 6 from as much as possible. Our advice would be just to not sit on it, or any other smartphone for that matter, but there are obviously still the dangers of water, accidental drops and dust to the safety of your shiny new phone. 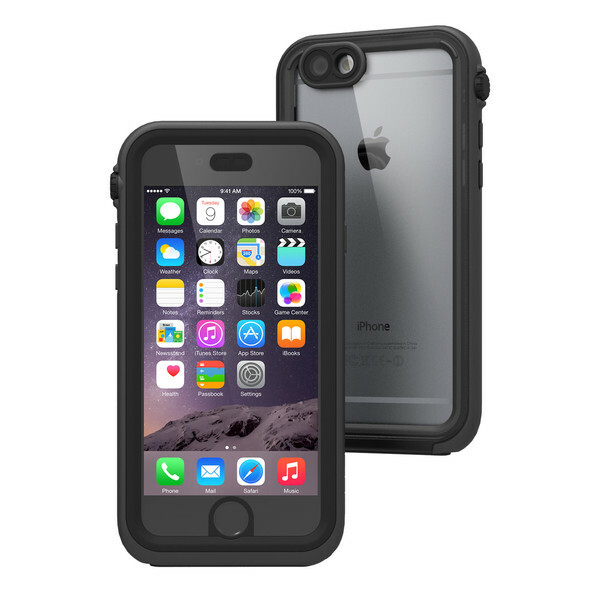 We’ve found 12 rugged cases to protect your iPhone 6 from anything thrown at it. Some are very expensive, but it’s the price you pay for protection! This LifeProof case does what it says on the tin. It’s waterproof, shockproof, snow proof and dirt proof, so really will prevent your phone from absolutely everything, including up to two metres of water for one hour! It also features a built-in scratch-proof screen protector, which still works with every function of the iPhone 6, including TouchID. If that wasn’t enough, there’s also a Sound Enhancement System built in, so that your tunes can be played out loud without a speaker. 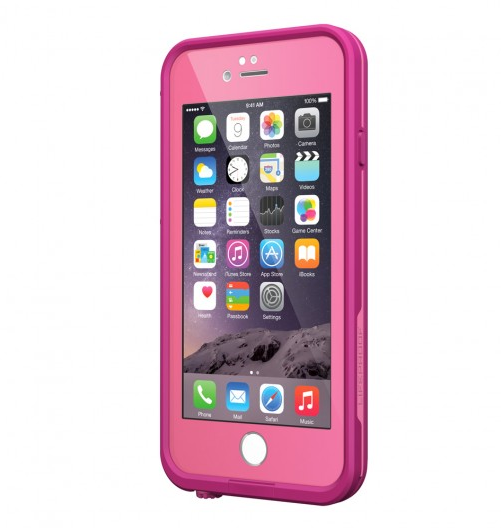 This case is available to buy from the LifeProof website for $71.99 (£46.67). This dual-layer case has drop protection from 2 metres, and is designed and tested to meet or exceed MIL-STD 801G standards for drop protection, but it still has a slim and stylish look to it. The Survivor Slim also comes with an ultra-clear sheet of screen protection film, which is compatible with the TouchID. This case is available to buy from the Griffin website for $39.99 (£25.93). 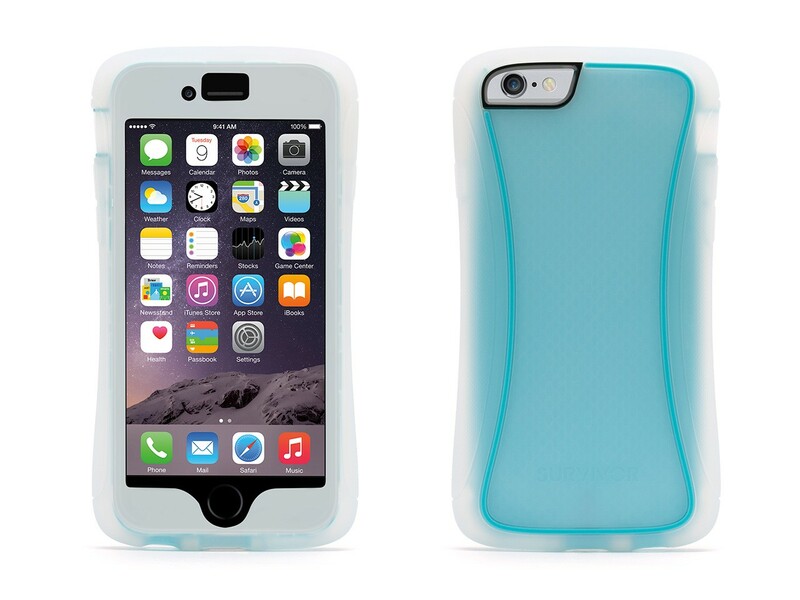 This dual layer designed case has a screen protector and impact resistant bumpers, just like the other cases. However, this one is quite a bit cheaper, plus it also comes with a belt clip holster, just in case you’re not up for putting your iPhone 6 in your pocket or bag like a normal person. This case is available to buy from the Supcase website for $9.99 (£6.47) for a black one, and $24.99 (£16.19) for another colour. Weird. The Catalyst Waterproof case is designed to be waterproof to 5m and to meet military standards for drops up to 2m, so there’s no chance of your iPhone 6 breaking if you accidentally drop it down the toilet! The case is made of impact resistant polycarbonate, a soft-touch rubber bumper, silicone seals and air & water tight acoustic membranes. This case is available to buy from the Catalyst website for $69.99 (£45.36). The Lunatik Aquatik case is the most stylish-looking, but also most expensive, rugged case we’ve seen. It comes in four different colours, and is fully waterproof and dustproof. It also comes with Gorilla Glass at the front, so your phone’s screen won’t be smashing anytime soon! This case is available to pre-order from the Lunatik website for $99.95 (£64.78). This shock-proof case is great for those out and about. It comes with an Easy-Stick Remote Mounting System, which makes it easy to mount your iPhone 6 anywhere, including your bike, car or pram! This Rokform case is available to buy from Case Hut for £35. 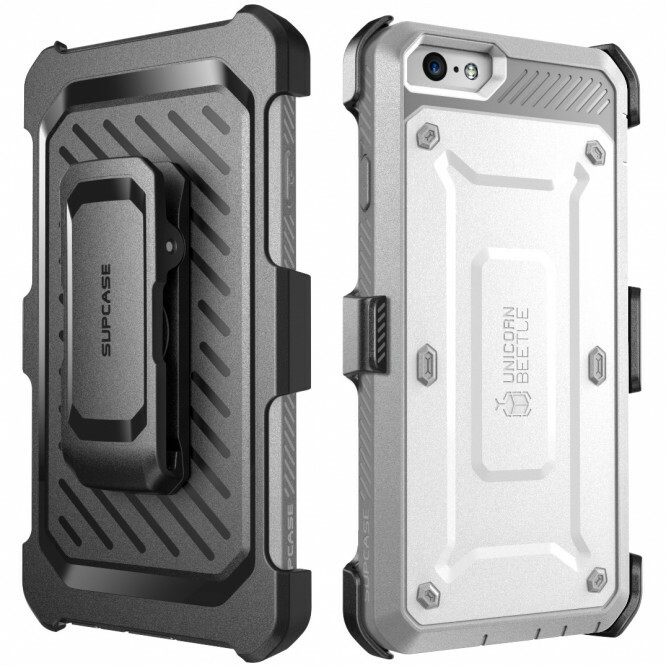 The main function of the Armorbox Dual layer Case is shock absorption. Adopting a uni-body dual layer design, a flexible inner core and polycarbonate hard shell your iPhone 6 will be safe and sound. If you’re worried about dropping your phone, let the additional bumper points at all four corners handle the stress. This case is available to buy from the i-Blason website for $19.99 (£12.96), or $9.99 (£6.47) for the black version. The Body Glove ShockSuit protects your iPhone 6 with Military Duty. 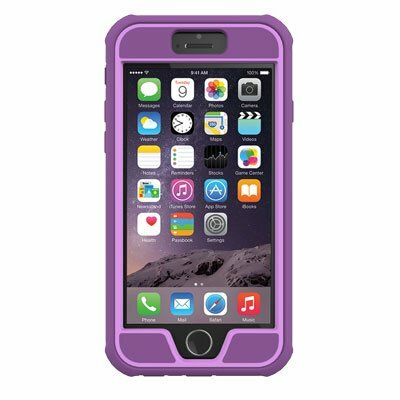 This durable, shock resistant case prevents damage caused from drops and scratches, and has several colours to choose from. The ShockSuit case is available to buy from the Body Glove website for $39.99 (£25.92). 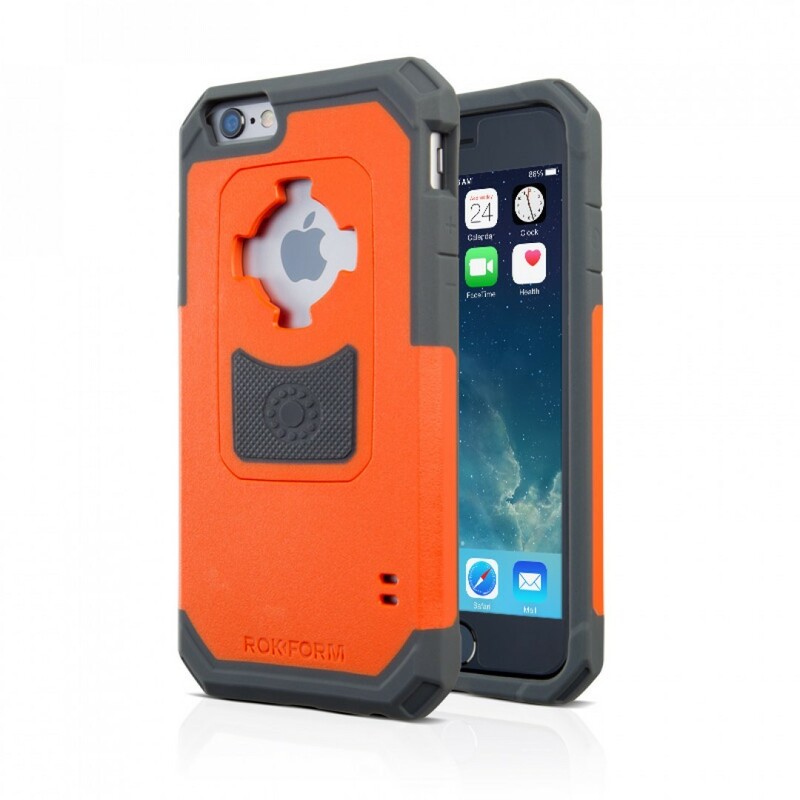 The Tough Xtreme Case proves that rugged doesn’t have to mean ugly and bulky. 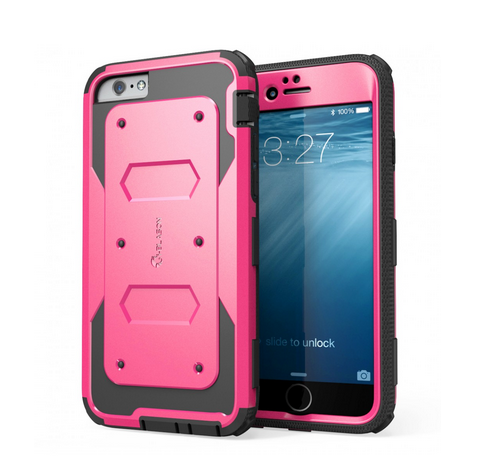 It combines military-grade protection with a sleek design. The extremely durable design is formed from three layers of toughness. A soft exterior wrapped around a hard skeletal structure is fused with a soft, impact-absorbing interior, while the built-in screen protector helps to prevent screen scratches. This case is available to buy from Case-Mate for $40 (£25.95). This case is drop, dust, screen and scratch proof. Plus, it’s got the added novelty of being able to choose your colour combination. It also comes with a holster that doubles as a belt clip and kickstand. 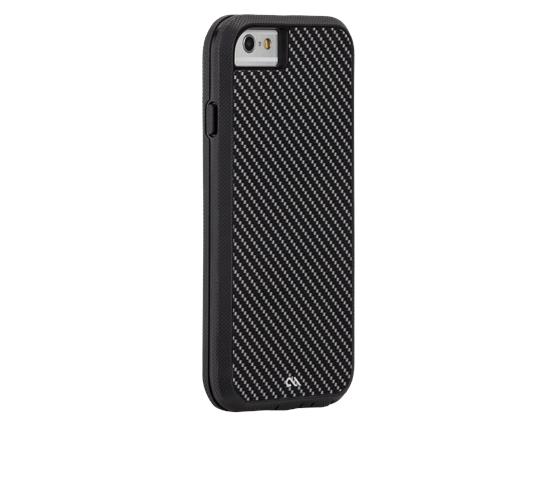 This case is available to buy from the OtterBox website for $69.90 (£45.33). 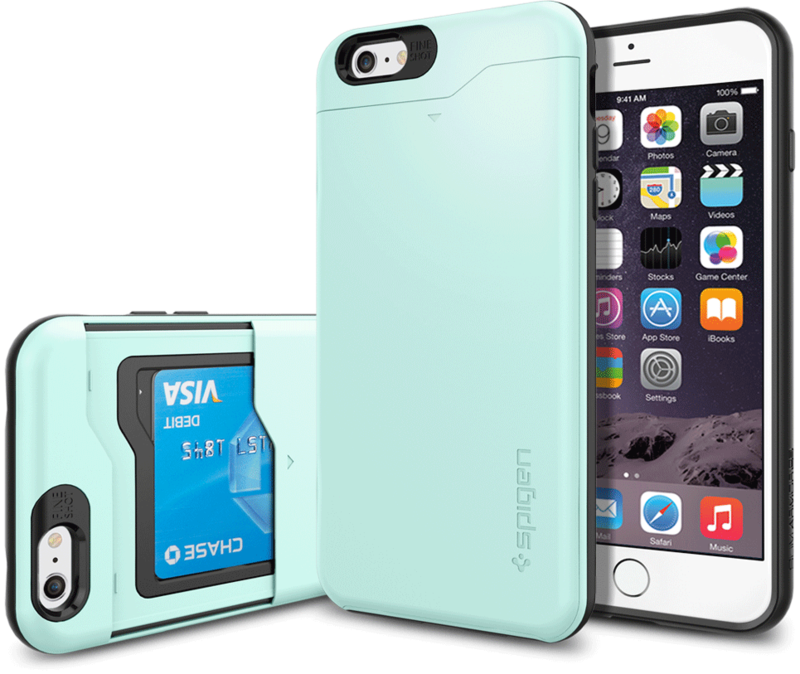 Not only is this case constructed with Air Cushion Technology, giving extreme shock absorption and device protection, but this Spigen case also has a hidden storage compartment for your credit cards or ID! It’s so clever and practical, but doesn’t compromise on looks, with a choice of some lovely colours. This case is definitely a winner! 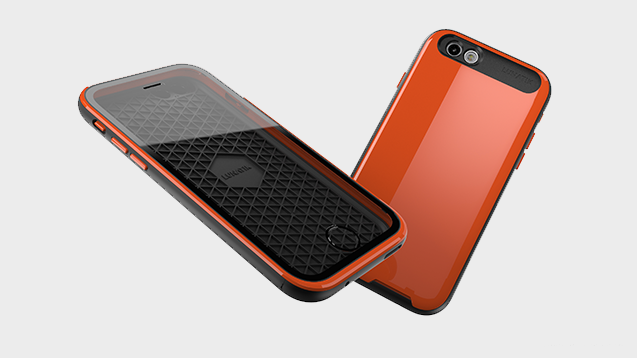 This case is available to buy from the Spigen website for $39.99 (£25.92).